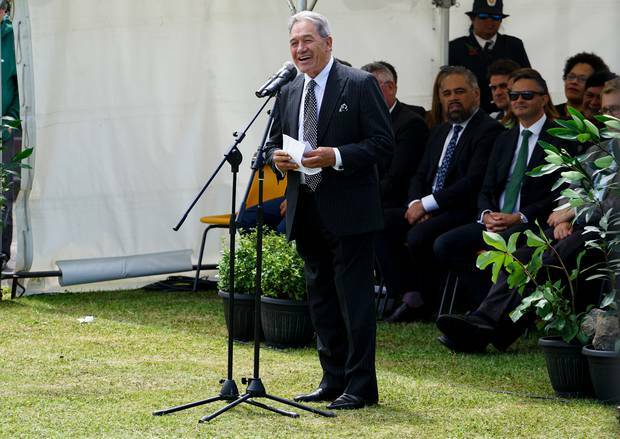 Channelling Prime Minister Jacinda Ardern is never an easy task for Deputy Prime Minister Winston Peters, yet that task befell him yet again at Rātana yesterday. 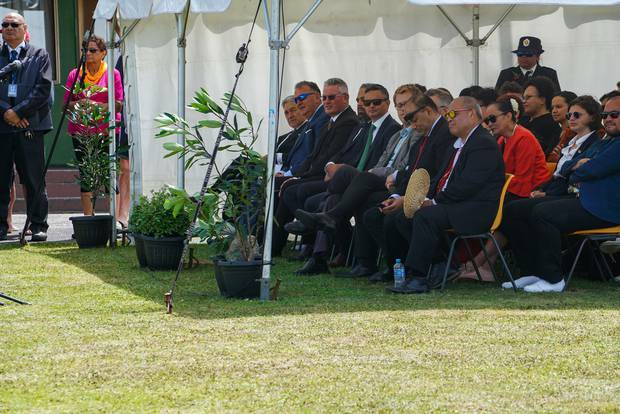 The first challenge presented itself in defending her honour against cads who were dismissive about a prime minister taking off to a Swiss village in January instead of sticking around for a couple of hours at Rātana pā. Ardern was missing the annual celebrations at Rātana, a faith with a long link to Labour, because she was at the World Economic Forum in Davos. Nobody had actually questioned her priorities, yet upon arriving at Rātana Peters found himself beset by questions from reporters about her absence. He huffed and he puffed about feckless media who would even suggest Ardern should have done differently. He was then reminded the cad in question was himself — in 2015 he had a dig at Sir John Key over his propensity to "rubbing shoulders with the rich and famous" when Key went to Davos instead of Rātana. Peters saved himself from blowing the house down by simply refusing to take any further questions on Ardern's absence and blaming the media for it all again. The next topic on offer was KiwiBuild and Housing Minister Phil Twyford's confession that the target of 1000 would not be met — in fact they would be lucky to hit 300. Peters valiantly went into bat for the Labour policy, insisting this was wrong and if everybody simply grabbed a hammer and hopped to it they would indeed hit the target. This time he was saved by a Rātana warden so festivities could begin, although it didn't help that the warden said he had had to mete out the same treatment to Sir John Key. National Party leader Simon Bridges had an even more difficult job than Peters in dealing with the PM's absence. It would be petty and lack credibility to criticise her for it. But it was also clearly hard to resist having a dig. So Bridges opted for criticising her for it without looking as if he was doing so. He did this by saying he was not criticising her for going, but then describing it as "political tourism" and criticising her for speaking about things like "wellbeing" and other fluffy nonsense there when she could be talking about such things at home. That was nonetheless not as tricky a path as trying to get any votes out of the Rātana throng. Bridges himself conceded that, saying for all its work for Māoridom, National didn't get any votes. The other challenge came in keeping politics off the pā. Rātana usually urges politicians not to get too political, but Peters and his fellow NZ First MP Shane Jones blithely disregarded that and Bridges decided to as well. He used his time to issue a diatribe on the Government for talking big but delivering little. He also used it to lambast any moves to legalise cannabis, saying it would deliver nothing that was good for Māori. He also offered to be constructive, saying National would back Treaty Minister Andrew Little's work on Treaty settlements and he believed they could be settled by 2024. 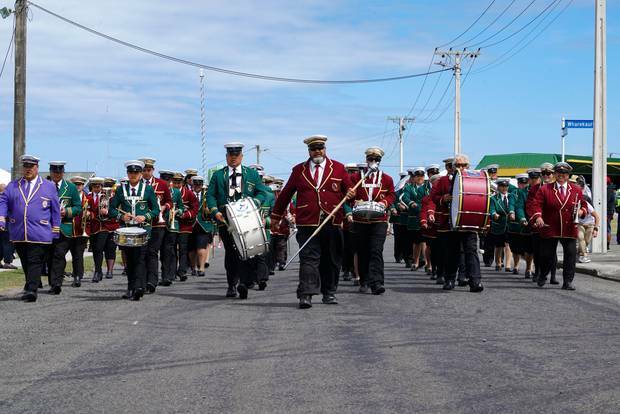 Controversy and Rātana do not go hand in hand in the same way as Waitangi. The absence of a Prime Minister meant it was more low-key — the biggest call came when Shane Jones wryly pointed out that in a previous year he criticised Rātana for welcoming a cannabis advocate. Yet now here he was, part of a government that was broadening the legal use of medicinal marijuana and holding a referendum on recreational use. He even suggested one of the ministers — Joe Everitt — might want to try some for his limp. Given its peace-inducing effects, Everitt might not be the only one to benefit from it.